Last week, I came across a close follower of mine asking for some YouTube marketing tips. And it just struck my mind instantly. Billions of videos being uploaded on a daily basis as well as the videos being viewed by people around the world. But here’s the shocking truth: Not many people (even marketers) know how to leverage the true power of YouTube. So, in today’s post, allow me to share with you some nifty tricks on YouTube marketing. At the end of this post, I am sure you will not only learn how to improve the quality of your video, you will also find more ways to rank your YouTube video better! When was the last time you watch a YouTube video? Could it be yesterday or several days ago? A bad video production would turn anyone off faster than you can imagine. And make no mistake. A badly done video doesn’t only turn off your readers, YouTube isn’t happy about it as well! Can the video run on High Definition (HD) quality? Does the video look blurry? How clear is the video from a super picky video viewer (sure, you can pretend to be one)? The more particular you are in this, the better the video production would be like! So now that you have a good idea of what a good video on YouTube looks like, let’s dive in even further on video production. Crystal clear voice. That’s what you need in any forms of video. But why is voice importance in a video? A clear voice in the video will allow your viewers to listen to the facts or information you share carefully. This means that there is no need to rewind, relisten or rewatch the entire video just to understand the points you are planning to state out. Therefore, having a clear voice (even if it is in a video) is very important. Having a clear voice is easier said than done. For starters, YouTuber marketers are often seen using an inbuilt microphone to record their voice. Sure, it is a good cost saving methodology but the results would not be as good as what it seems! 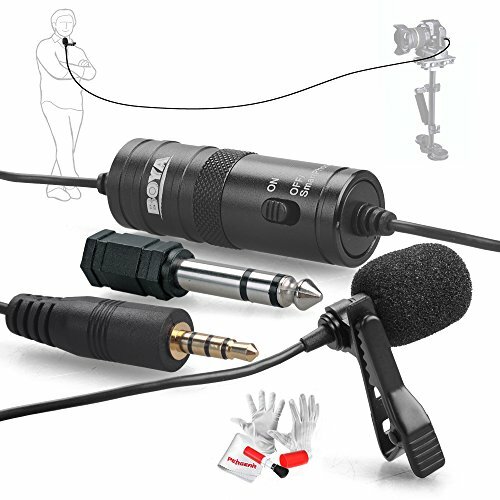 This means that you could actually produce better voice in the video by using external microphones. For example, Movo LV1 is a great external microphone which you can easily plug it into your smartphones. While this microphone only costs you a mere $19.95 on Amazon, it would provide you excellent sound quality when you are recording video directly from your smartphones. 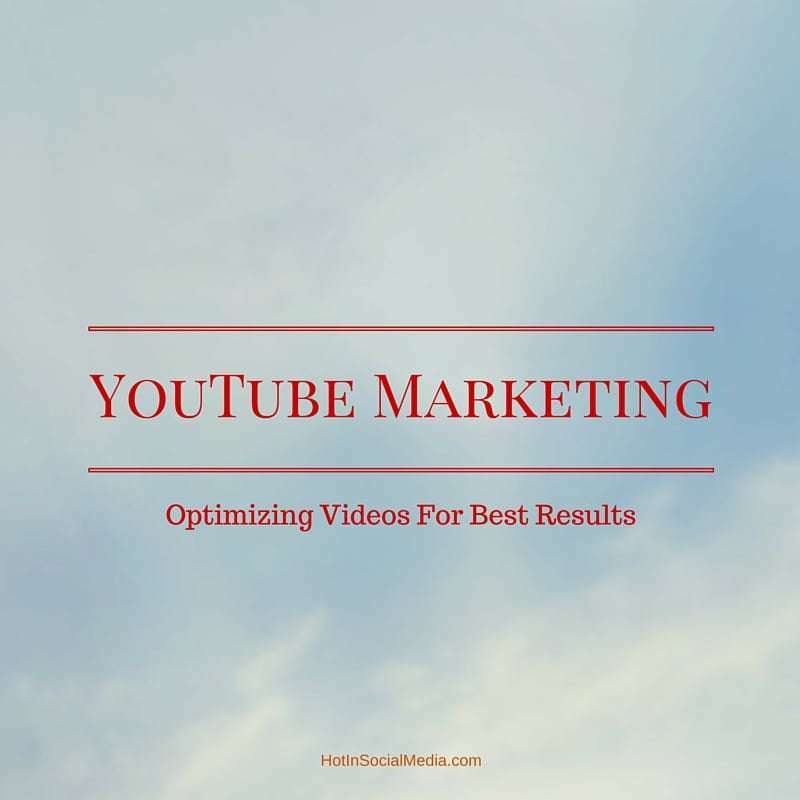 Filming the video is just one part of the entire YouTube marketing process. Once the video is taken, the next step is to clean and optimize the video. This means that you need to start doing ‘cleaning’ jobs to make sure that the video looks good and most importantly, professional. If I have to choose one, I would go for Camtasia since I have been using this for over a year without issue. Plus, the user interface is very intuitive which helps a lot, especially for newbies. Choosing the right software (especially user-friendly ones or the one that provides a lot of features) will help you create powerful videos. Using the right computer for editing your videos. Editing the video as if you are telling a story. Using keyboard shortcuts can save you a lot of time (if done correctly). Adding visual effects and even sound to the video can increase engagement rate. Another important tip is that when you are exporting your final work (video), make sure you are exporting it as mp4 status as it takes a shorter time to upload to YouTube. YouTube marketing isn’t entirely about the video itself. There are many areas such as the description box which you can leverage (to enjoy better ranking on YouTube). For starters, creating time stamp in the description box will ensure that your followers can skip to parts of the video which matters most to them. In return, you will experience lesser bounce rate and longer duration for viewing the video. Also, you should always write several paragraphs or about 100 words in the description box as a guide for your readers to understand what the video is all about. Some YouTubers (including me) agree that having strong keyword presence in the video is a vital move. This helps you to rank better on YouTube search as well! At the same time, do not forget about the usage of exact keyword match on both your video file and the title of your video (when uploading to YouTube). All in all, these will help to increase the ranking of your YouTube and providing a clear description of the entire video for your potential viewers. Publishing on YouTube isn’t entirely enough. Once the video is published, you need to share it across various platforms for maximum exposure. Always remember that just like any social platforms out there, YouTube appreciates videos which are constantly shared, viewed and if possible, a touch of vitality. So, do not forget to share the video’s URL on various social media platforms such as Facebook, Twitter, Tumblr and Google+. Creating a good video is challenging. It takes a lot of time and patience. On top of everything, you are required to have eyes for detail as this will only make your video better than the rest! What other YouTube marketing tips are you using? Leave a comment below and let’s discuss further!